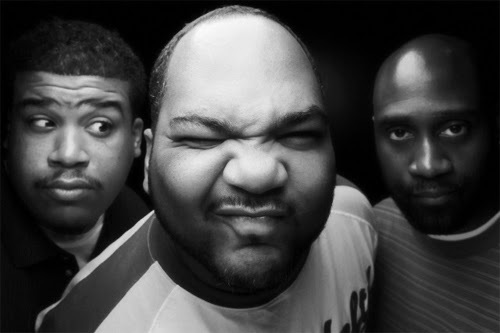 Discopop Directory: "They call me De La, as if I lost my soul"
Hot off the presses from De La Soul, here's a song to cover the wait for their crowdfunded eighth album. Although it's not intended for the new record, it's no stopgap. Featuring Nas on the hook, God It features a chopped and spliced horn section, giving the track a pleasingly hefty retro vibe. Here's what the band had to say about it: "While busy at work, we also like to play. This song is not on the new album, but an indication of good music to come. The song was produced by G_Force and you may recognize our featured guest. We're still in Atlanta recording and it sounds amazing! We can't wait to get this new album to you." With their Kickstarter page now 10 times its original target (and more than a week left to go), it's safe to say the album won't suffer any unnecessary delays.